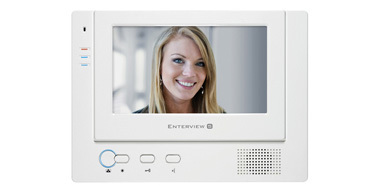 The ESP Enterview range of video door entry systems is a high quality solution for the domestic or office entry video monitoring. You can pick-and-choose the mono or color video door station (with 1-4 or more buttons), the video monitor for indoors (mono or color, wired or handsfree), or the audio only handset. Flexible video door entry monitoring solutions - and affordable at the same time!